The 1923 ‘All Steel’ Dodge Business Sedan. A quantum leap in technology. 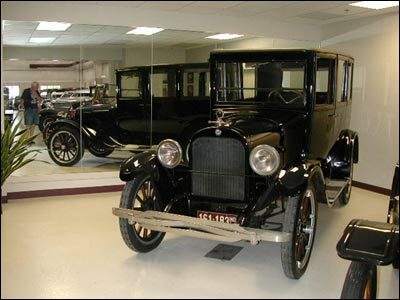 In 1923, there were two vastly different Dodge Brothers Sedans. Few people know that these two 1923 Dodge models literally divide the past from the present. First, there was the Type A Sedan. It was wood framed in the centuries-old tradition of carriage building, with steel skin tacked over wood. But there was also the Business Sedan that you see here. This car is made of steel skin welded to an all steel framework. These all steel bodies were much stronger than their wood counterparts. They were safer, longer lasting and as it turned out, a forerunner of the future in car building. This 1923 Dodge can truly be considered the ancestor of every car on the road today. One can only imagine the pride the Dodge brothers, Horace and John Dodge, would feel if they could witness today’s robotic welders in action at a modern Daimler-Chrysler assembly plant! Surely they would perceive how great a revolution they had begun with the first all steel bodies in their 1923 Dodge Business Sedans. Obviously, being the car with the first all steel sedan body in the automotive industry, this Dodge is of significant historic interest and you saw it at Swope’s Cars of Yesteryear.